Christopher Jones was born in 1976 in Melbourne, Australia and in 1997 completed the Bachelor of Design degree at the University of Technology in Sydney. After completing university studies he worked as a freelance graphic and web designer. In 1999 Jones moved to Germany and started with the Intenet Agency Syzygy AG in Bad Homburg. After two months Jones was promoted to Art Director and took over a number of multimedia and web projects, in particular for automotive clients. For the design of the Alfa Romeo website he was honored in 2000 with the Deutsche Multimedia Award (DMMA). Jones was also responsible for projects for the Deutsche Börse, Postbank and Daimler Chrysler and won various awards for innovative internet marketing. The design expert lectured at the Fachhochschule Wiesbaden for a number of years running classes in web design and flash. Since 2001 Christopher Jones has worked as a freelance consultant for various agencies and companies in Germany and Australia. Jones is regularly engaged in business and cultural networks and has committed to volunteer activities. Highlights include the Youth Leadership Program for students in Sydney, support cyclist for Blackmores Sydney Marathon wheelchair athletes and cycling from Adelaide to Darwin in the TourXOz and raising funds for the Black Dog Institute and the diagnosis, treatment and prevention of mental health issues. 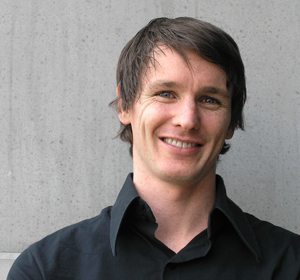 As the founder of Bicycles Network Australia which has a 24,000 members, Jones is passionate about cycling and regularly publishes bike news and reviews. He has researched and published two trade reports for the cycling industry and consulted to cycling brands and retailers and written for cycling publications. Christopher is married and has two boys, he loves building things and enjoys the outdoors.